Happy Friday everyone! I have been so into jumpsuits lately (I feel liked’ve said this about everything recently lol). They’re pretty much an entire outfit in itself and it really doesn’t get any better than that does it? 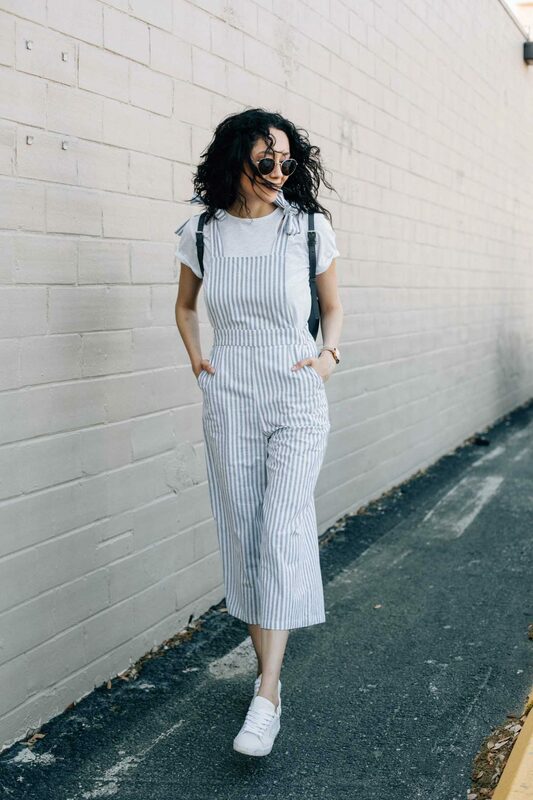 I’m loving this overall style one that I shared with y’all on stories a couple weeks ago. The straps tie into the cutest bows and the silhouette is super flattering. I added a white tee under but how cute would it be with an off the shoulder blouse? 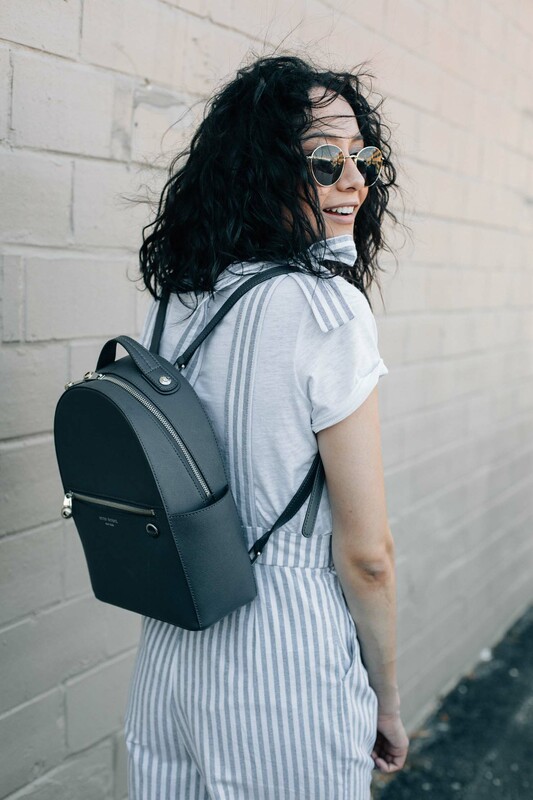 Paired it with white sneakers and my Henri Bendel backpack for a chic off-duty mom-look. 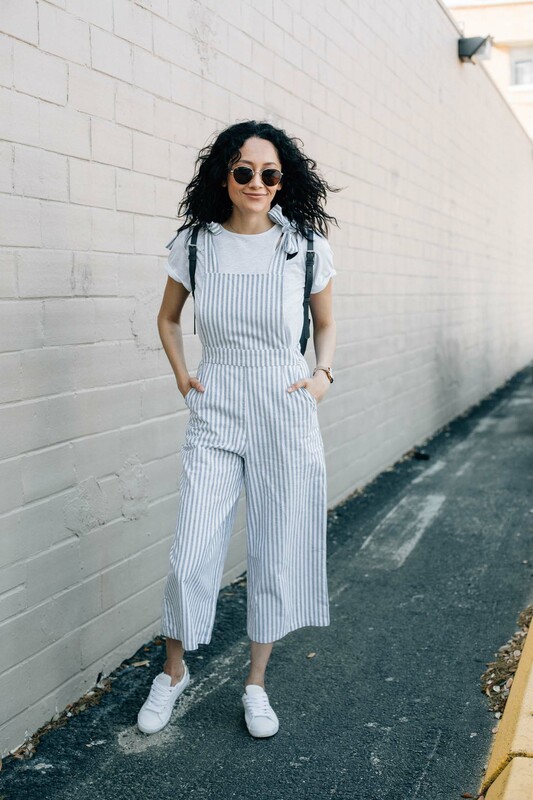 Jumpsuits are very in right now and I’ve linked a handful for you all under $50.